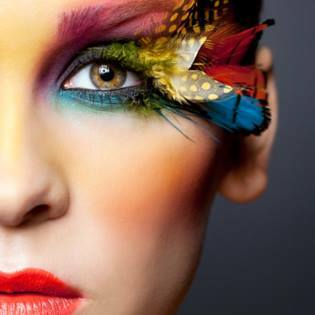 These non-certificate courses are perfect for the amateur makeup artist or for someone who is looking to acquire new skills in the field of makeup artistry. These courses will teach you all the basic skills needed in makeup artistry as well as detailed guidance to use the color wheel, brush basics, best practices for safety and sanitation, hosting your first makeup event, building your business and so much more. Please note this course does not come with a student companion kit.. Begin your journey into professional makeup artistry with the essentials in our professional makeup courses designed to put you in the driver seat of makeup artistry success. These courses were designed by our master makeup instructor and will cover all aspects of color matching, safe-application practices, photo finishes, conceal correction, bridal makeup and how to create makeup looks that get attention. Your online journey begins with the fundamentals of makeup and quickly launches into the highest standards of master makeup artistry applications. Your course will cover advanced color concepts and safe application practices, trendy eye applications and a fabulous day look that you will transform into an evening look. Bridal Makeup, advanced makeup techniques in color concepts, fashion makeup, theater makeup and film makeup, eye brow correction, lip correction, photography makeup and stage makeup.